What’s up with record low renewable energy prices? Policy innovation is key to harnessing renewable energy potential, writes Meredith Fowlie, Assistant Professor of Agriculture and Resource Economics at the University of California at Berkeley. Article courtesy Energy Institute Blog, Energy Institute at Haas School of Business. There’s a revolution happening in the world of renewable energy policy. 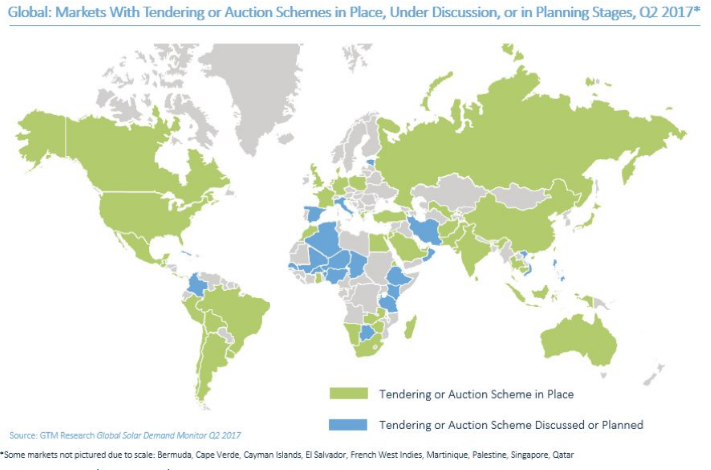 At last count, 48 countries had adopted auction-based approaches to subsidizing renewables, with an additional 27 countries seriously considering the idea. The idea is simple (in theory). Set a target level of investment in renewable energy capacity, and then allocate these contracts to the lowest bidders. This idea is also somewhat polarizing because it marks a move away from “feed-in tariffs” which have been used in many countries, for many years, to subsidize renewable energy projects. Feed-in tariffs (FiTs) have traditionally been set well above the prevailing electricity price. The concern among some renewable energy advocates is that determining tariffs via competitive auction will drive renewable energy subsidies down…or eliminate them entirely. The potential to get more bang for each renewable energy buck is precisely what appeals to the governments on the supply-side of these subsidies. As renewable energy markets mature and penetration increases, a growing number of countries are looking to reduce subsidy costs by spurring competition. Some notable countries have recently turned green on the map above. Germany is one. Germany’s feed-in tariff system produced the “solar miracle” (truly miraculous to see 38 GW of solar PV capacity in a country that has the same solar potential as Alaska). But this came at a cost that was ultimately too high for consumers to bear. Last year, Germany ended feed-in tariffs in favor of competitive auctions for power purchase agreements. India is another important example. For years the Indian government has guaranteed long term payments at above-market tariffs to renewable energy producers. These FiTs are rapidly being replaced by auctions in the hopes that competitive pressures will drive down procurement costs and increase transparency. Source: International Renewable Energy Agency (IRENA) 2017. The general trend that jumps out is the decline in prices through 2016. In 2017, this downward trend has continued. In June, we saw large-scale solar PV procured at an average price of $70/MWh in Germany’s most recent solar auction. In July, France announced results of its second large-scale PV auction which contracted with 507 MW at an average price of $64.9. 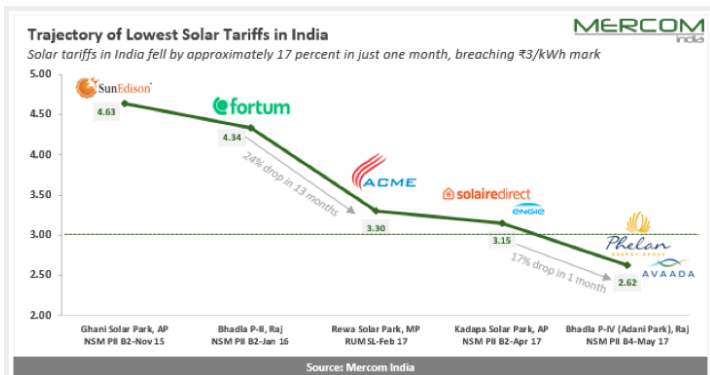 Since February, India has held four major solar power auctions with tariffs falling by as much as 26% between the first and the latest auction. In May, winning bids were as low as $38/MWh for utility-scale solar projects. Recent wind auction results have also been making headlines. Germany held its first offshore wind auction in April. Winning bids were below the market price for power in Germany. This “subsidy-free offshore wind” is being celebrated as a “moon-landing moment”. India held its first-ever wind power auction in February. Last year, wind projects in India were contracting at FITs in the range of $62-$93/MWh. This year, the winning auction bid price was INR 3.46/kWh ($54/MWh). Looking at how procurement costs are falling among countries that had previously relied on other mechanisms, it seems possible – even likely – that auction-based procurement is accelerating price discovery and reducing procurement costs relative to what we would have seen otherwise. This sounds like good news (unless you are a project developer seeing revenues melt away). But is it really? It’s good news if falling procurement costs reflect the market’s ability to seek out the most cost-effective projects, and if this competitive pressure will fuel efficient innovation going forward. But there are legitimate concerns that the cost reductions we are seeing today are short-lived and/or illusory. Some critics argue that small/medium sized companies can be at a disadvantage in these auctions. If smaller outfits start exiting, a more concentrated wind and solar industry could mean less competition in the long run. It’s also possible that auction-based procurement is forcing bidders to be too aggressive. If the winning bids are based on overly favorable assumptions about future equipment costs or debt financing, the winner’s curse could come back to bite us. Uber-aggressive bids could also reflect developers’ willingness to take a hit in order to enter a new market, or strategic hopes to renegotiate additional remuneration after winning the auction. This kind of under-bidding could amount to a risk worth taking, particularly in emerging economies with ambitious renewable energy investment targets. As one Indian analyst observes: “If the first 20 gigawatts goes to scrap, but as a result, it brings competitive and widely scalable solar, they (the government) are happy to have that.” Moreover, there are things countries can do to mitigate under-bidding (e.g. impose pre-qualification requirements, such as bid bonds, to screen participants). 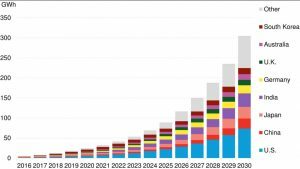 The long-run political viability of ambitious global emissions reduction targets depends critically on finding lower cost paths. Early evidence from renewable energy auctions suggests that market-based procurement could be driving down procurement costs. Will this reduce the long-run social cost of a global energy transition? I think it’s too early to tell. The ultimate success of this policy shift will depend to a significant extent on the gritty auction design details (which I have glossed over entirely in an attempt to keep this blog quasi-compelling). We’re seeing lots of variation in auction design. With 48 real-world experiments in progress (and more on the way), there’s a lot we can learn about how auctions can be designed to deliver sustainable cost reductions. Careful analysis of this large-scale experiment will be critical. We need technology innovation and policy innovation to fully realize renewable energy potential. 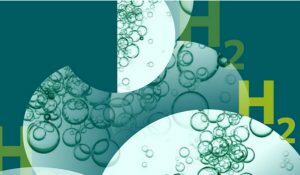 This article was first published on Energy Institute Blog, Energy Institute at Haas School of Business and on our sister publication The Energy Collective and is republished here with permission. FiTs and other subsidy programs were needed to create markets for wind and solar to grow large enough to have economies of scale kick in. That’s happened. In the US onshore wind has fallen from the $0.39/kWh of our first wind farms to under $0.03/kWh, unsubsidized, today. The price of solar panels has fallen from $100/watt to less than $0.50/watt. Cheap enough even if the price falls no further. Now we see major demand for new wind and solar. Demand that will only grow as the populace demands more action to fight climate change and for cleaner air. Growing market. Wind and solar are two of the three least expensive ways to bring generation to grids. And the two cheapest low carbon technologies. Let the market now work its magic via competition. Companies will invest in research to find ways to give themselves a competitive edge and scour their cost analyses to find trimmable fat. If we want more wind and solar installed (which we should) then create some sort of incentive for utilities to use more RE. A carbon tax that makes it more expensive to use FF. A tax credit to utilities based on their percentage of RE:fossil fuel generation. The author forgets to mention an important aspect of (German) feed-in tariffs: the so-called Degression, i.e. the gradual decrease of feed-in-tariffs. The main goal of feed-in-tariffs in Germany was to bring down costs by stimulating upscaling and learning by doing. The feed-in-tariffs were therefore set to gradually decrease for new systems over time. Initially this “degression” was with a fixed percentage per year, but when the cost of PV systems declined faster than the feed-in-tariff the PV systems were over-subsidized and the fiT-systemwas corrected. In the corrected FiT the degression depends on the PV system installation rate. Effectively this works very much like an auction: By finetuning the relationship between FiT and installation rate the growth in installed PV power can be kept in a desired corridor at the lowest cost. An advantage of this approach is there is much less bureaucracy and risk for potential PV system owners. From an economic perspective this is much more efficient. Bureaucracy and risk both cost money. It is also allows smaller players to participate. Another overlooked aspect is that in (German) auctions the owners have several years to realize the system. This means they can speculate on future costs declines, whereas with the FiT the date of first power delivery determines the tariff. The apparent sudden fall in prices when auctions were started is therefore misleading. Since the conventional technology electricity sources have been acknowledged as not sustainable and as against the interest of the global communities, the renewable energy sources must be the only options. All these perturbations will even out over a period of time, say within next 5-10 years, will mature quickly, and then will stabilise. Suitable enabling policies by world governments will hasten this process. Of these renewable energy sources, the distributed type such as roof-top solar PV systems, small size wind turbines and community based bio-energy units are likely to be the most popular. No, it is not correct to state, “the renewable energy sources must be the only options”. Gas fired CCGTs and Nuclear are options. The wind/solar renewables intermittency problem remains the biggest stumbling block yet to be solved, if ever economically. Storing energy in a pump-up hydro facility (PuHS) is a fully viable way to store energy. We’ve been using PuHS for 100 years. Wind or solar stored in a PuHS is cheaper than new nuclear. A mix of wind, used directly from the turbines, and solar, used directly) plus wind/solar stored in PuHS is very much cheaper than nuclear and just as reliable. If not moreso. Now the challenge is to find even cheaper ways to store energy than PuHS. 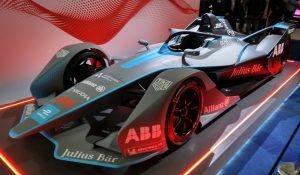 It appears that a mix of battery and PuHS might be the current best solution. Bob, Pumped hydro storage is expensive to construct. The economics rely on wholesale electricity price differentials existing long-term to support investment. That is a risky proposition for private investors unless the construction costs are underpinned by consumers somehow. Hence yet more subsidies from consumers would be needed to finance PHS in conjunction with renewables. Renewables plus PHS plus extensive transmission works would be just as expensive as new nukes sited near a load centre. Suitable locations for PHS schemes rarely are near load centres hence the need for extensive transmission. BTW Everyone else in the world uses the term ‘pumped hydro’, not ‘pump-up hydro’. Yes and no. Depends on how it is done. Build a new dam along with turbines and pumps and the cost can be high. Convert an existing dam by adding pump/turbine hybrids and the cost is a lot lower. That’s not quite correct. The economics rely on the value of long term energy storage. Batteries will likely be cheaper for short term storage (up to 24 to maybe 36 hours). Past that batteries become too expensive. Look at what we pay for electricity from gas peakers. Lazard puts the LCOE of gas peakers at $167/MWh to $215/MWh (16.7 to 21.5 cents per kWh). I’ve seen prices run over $1,000/MWh in extreme situations. The US has about 77,500 existing dams that are not used for electricity production. At least 10% (probably a lot more) should be usable for PuHS. They have adequate head and are reasonably close to existing transmission lines. We can also do PuHS with existing power producing dams. Many of our power dams do not have enough storage and in-flow to produce 24/365. Many are used as dispatchable peak sources. We could add pump/turbines and use those dams for generation plus storage. I want to address renewable subsidies separately. We have new and amazing data. The external cost of burning coal is extremely high. Simply tallying public health impacts, only health impacts, coal costs the United States economy $140 billion to $242 billion a year. A study published in Nature Energy has calculated the amount of money saved in the US over the last decade by replacing part of our coal use with renewable energy. Millstein et al. estimated that between 3,000 and 12,700 premature deaths have been averted because of air quality benefits over the last decade or so. Those avoided early deaths have created a total economic benefit between $30 billion and $113 billion. Coal has dropped from producing over 50% of US electricity 13 years ago to 30% in 2016. That’s only avoided early deaths. Many additional billions have been saved through avoided health care for non-fatal pollution caused illness and lost work days. Between 1994 and 2009 wind and solar received subsidies of $5.6 billion. Adding in the 2010 through 2016 (roughly calculated) subsidies the total comes to about $31.5 billion. What the Millstein study finds that the US has already recovered every dollar spent subsidizing wind and solar, possibly saving many billions of dollars in excess of recovered subsidies. And a lot all health benefits are not included in that $30 billion to $131 billion. Then add in environmental damage. We’ve likely enjoyed an incredible return on investment. Many of us knew that the money spent subsidizing wind and solar would be returned in health cost savings once coal was gone. But we had no idea that we’ve already recovered the subsidy money. Storing major energy as gas in deep earth cavities during many months or some years common practice during decades in Germany and NL. In NL such storage allows us to configure the natural gas conditioning plant on the average consumption. The overproduction in summer is stored and used during winter as then the gas conditioning plant has not enough capacity to meet demand. Seems to me that this option is cheaper than PuHS, and much more flexible as little NIMBY. It may be a few years before we figure out the least expensive solution. And the least expensive solution may differ from place to place. Let’s also not forget that when solar and wind power are averaged over a larger area much of the temporal variability of solar and wind power disappears, this reduces the need for storage greatly. Hans, good luck with that risky theory so often trotted out. I note that Germany is not taking any risks with intermittent renewables as Germany maintains a conventional power generation fleet that fully covers Germany’s peak demand. The UK is not planning to take such risks either. UK is, apparently, taking the road to more expensive electricity. And the same risk adversion in germany also causes the closure of nuclear. Coal and gas fired Power plants can be closed later on too, without significant damage, after standing around cold for a decade or two. That’s tradition in germany. Nigel: I did not write that grid interconnection is the sole or complete solution to the variability issue. However, it is a big part of the solution. Germany has an over capacity of lignite power plants. These are however not very flexible and thus do not serve as back-up for renewables but produce mainly for export. Which is not correct – they are flexible enough to follow all variations of wind and solar, although this is unknown to many New plants have been designed to be flexible, and old plants did get retrofits to become flexible. What remains in the market at negative prices are plants which operate as combined generation, so they must run to provide heat. The GHG emission issue of fossil fuels, and the consequences of a nuclear accident along with the life cycle GHG emission potential of nuclear power plants are known to cost enormously for the society. Another critical area in our consideration of future energy scenario should be the management of the energy demand itself. Whatever may be the technology we may like to adopt, the nature has a limit to support such demands for material and energy, which is growing all the time. Hence the focus should be to minimise our total demand and meet the same on a sustainable and equitable basis. Rational discussion on this aspect seems to be completely missing at the international level. Incorrect. New nuclear plants in the west are extremely safe and the risk of anything happening at great cost to society is minute. Far riskier to fly in a plane. Older nuclear plants built in the 1960s are closing and any that are inherently unsafe designs have already been forced to close by regulators. Also energy efficiency has been a priority in most European countries for decades. The absolute level of safety remains to be seen during decades of operation. (human error rates, black swans), due to the characteristic of nuclear power stations (few accidents with huge effect) these are hard to be known. From the construction dates in the 1970’s we know that they were too unsafe in real world opperation, although they were sayed to be absolutely safe when they were constructed. But since nuclear power has prohibitive high prices per kWh today, it’s not worth any discussion today any more. There is plenty to discuss. New nuclear costs are not prohibitively high. E.g. Finland’s 1.6 GW OL3 will be commissioning next year for a cost of Euros 8.5bn. Indeed TVO is now talking of building OL4, which will be cheaper. BTW Finland is serious about the environment and knows that to really cut coal burning nuclear is the way forward, not solely intermittent renewables as pursued at huge cost elsewhere. 8.5 billion euros for 1,600 MW works out to 5.31euros/watt. Or $6.25/watt. PV solar with tracking is now $1.08/watt (avg) in the US. Onshore wind in the US is now at $1.53/watt. Let’s adjust those numbers for CF…. Twice as much per delivered watt. What a bargain. We should load up our grids with that. Bob, US wind/solar power costs is not a good yardstick when this is Europe. Helmut mentioned the other day a recent auction price for onshore wind in Germany of 4.28 Euro cents. So not much difference compared to 5.31 Euro cents for the troubled OL3 project. May explain why Finland is planning OL4, and a 1200 MW reactor at Hanhikivi is being built. Also some Finns seem not so keen on wind power. Maybe they fear it spoiling their landscape environment. Well it’s 5,31 ct/kWh without fuel costs, without insurance, without decomissioning cost, without higher costs for personal costs for wate management etc. Modern wind turbines just get a visit of a person once in two years. This will not work with a nuclear power station. Immediately relevant is the auction result compared to the short therm variable costs of coal fired plants in germany. 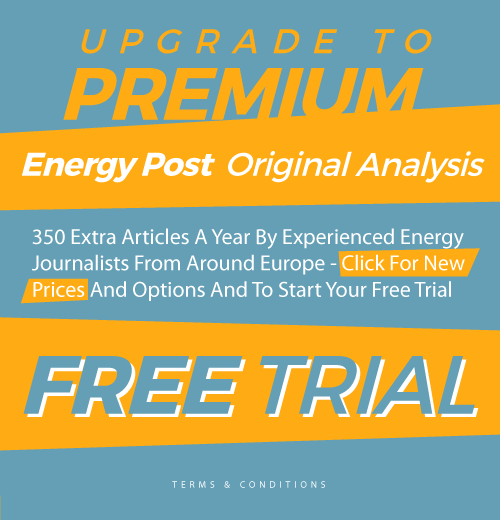 (mainly fuel costs) German hard coal plants leave the market at around 3,7ct/kWh So New wind power is just around 0,68ct/kWh away from the pure fuel costs of hard coal in germany – so existing hard coal including costs for employees are already more expensive than new wind power in germany. Inclunding repairs of coal power stations in the calclation just widens the gap. At todays world market prices the coal mines stand with the back to the wall financially. Meanwhile Germany’s onshore wind fleet CF is <20% – so not much use for 4/5ths of the time when the wind is not blowing. 40GW of onshore wind requires backing up with many coal and gas fired stations incurring fuel costs, staff costs etc. and spewing Mt of carbon and other pollutants into the atmosphere. Also the cost of epic scale reinforcement of Germany's transmission/distribution systems needed everywhere to connect wind turbines spread across the country, often far from load centres. Nigel, you do not know what CF means. Apparently you get your information from pro-nuclear/fossil fuel sites and have ended up with a bunch of garbage in your head instead of facts. You just peppered the site with anti-renewable energy junk about installation stalling out because not as much money has been spent year to year. A minute or two of searching would have brought you to some facts which you could have used to offset the bad information you’ve tapped into. 20% CF does not mean that the wind blows only 20% of the time. Please learn what CF means before posting anything more about CF. Germany has built exactly zero fossil fuel plants to back up wind turbines. The opposite has happened. Wind output causes fossil fuel use to drop. Yes, Germany and many other countries, will need to build new transmission as they turn away from fossil fuels and to renewable energy. Do not forget, the world built massive amounts of rail line and gas pipes to move fossil fuels around. And we had to build transmission from fossil fuel plants to distribution grids. We’re in a transition to cleaner, cheaper, low carbon energy. Ah, now wind turbines are once again either operating at nampelate capacity collectively or not at all in the next second. Which is fake news. Since new wind capacity costs not significant more than fuel costs, it wouldn’t even matter today any more if a fully manned coal fierd plant would sit idle next to the operating wind power plants. Bt for that purpose, fully automatic operated gas fired plants and emergency diesels are much better suited, not needing any significant staff. And since wind is negatively correlated with solar, and uncorrelated over large regions, increasing grid strength and size offers even cheaper possibilities. Which ends the discussion about economics of renewables. If Finns are willing to pay more for electricity in order to not have to look at wind turbines, that’s their decision to make. And, as Helmut points out, that just the installed cost. If countries choose to spend more for energy it simply lowers their ability to compete on a global market. Finland and the UK have simply ruled out building 1000s of on shore wind turbines which would spoil the environment. Historically large industries in Finland have arranged their power supplies independently and in conjunction with local small consumers. Also domestic electricity consumption in Finland is twice the norm so low power prices are equally as important. As you say competitive energy supplies are important for industry. If wind had been a more economic option Finnish industries wouldn’t be supporting new nuclear build now. @nigel, the russian nuclear power station they want to construct looses it’s supporters one by one. Helmut, do you have a link to your first paragraph about losing investors/supporters? Contracts are signed and construction of Hanhikivi has started. Bob, to be straight with you, you’re blinkered to only one solution which is renewables so can’t take critical facts being pitched at renewables. I am not anti renewables, but as an engineer I know the limitations of the technology. Your point about CF and wind blowing is pedantic. The energy output from 40GW of onshore wind capacity at 20% CF is equivalent to the wind only blowing for 1/5th of the year. So 4/5ths of the time energy needs to be generated from back-up sources. The wind/solar correlation is not much help in northern Europe too which is hardly surprising when solar’s CF here is around 10%. Renewables investment across Europe is down significantly because the subsidies/support has been reduced since 2011. Investors are shying away now the returns are less and the risks far greater. Investment continues to decline and shows no sign of recovery in Europe. Europe has lead the way in the development of renewables so this may not be good news for renewables elsewhere. 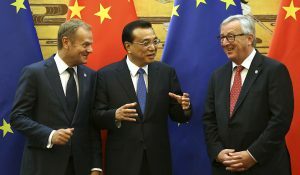 The other issue affecting investment in Europe is the EU has said renewables taking priority over other generation should end. The worldwide capacity install rate is essentially only up because of China playing catch up. Investment has been flat across the US over the same period. California is up due to continuing low risk support mechanisms and targets. I remember Warren Buffett saying the only reason he was invested in wind was for the tax credits otherwise it didn’t make sense. Investment drives capacity growth and unless much much more is spent, regardless of falls in the cost of wind/solar, renewables will remain a small player as it is today in terms of world wide power generation. Also regardless of the over hyping here from fanatics. No, Nigel, I am not “blinkered”. I’m pretty good with facts. My “point about CF and wind blowing” is far from pedantic. It shows that you, who claims to be an engineer, doesn’t grasp the difference between capacity factor and hours of delivery. You mistake an average of data for the actual data itself. Here’s an interesting fact for you. Wind farms are now borrowing money at much lower rates than a couple of years back because financiers now view them as low risk. And you show that you are not a statistician in your claim that renewables are growing due only to China. An entry level statistician would know to look at the data prior to making a pronouncement of fact. Nigel, you simply lower the quality of discussion on this site with your bull-headed advocacy for nuclear energy. Correct, we are using many reactors designed a half-century ago and put in service 35 to almost 50 years ago. Driving to town yesterday I found a tow truck outside my gate. It was scooping up an older (15 years?) pickup that hit a pothole and its front left suspension broke. It lost a wheel. Stuff breaks more as it gets old. Metal exposed to radiation gets brittle. I think we need to be very careful with our older reactors and extremely careful trying to push their lifespan to 60 years. My guess is that the risk level is now increasing each year for our >40 year old reactors. That’s well understand and closely monitored in European nuclear stations. Operators have to satisfy the safety regulators that older plants remain safe to operate. On a PWR some parts of the nuclear steam supply system can be replaced after say 30 years operation to allow the plant to reach 60 years old. Control systems are often updated too. Some ageing stations run at lower output to manage the issue too if parts can’t be economically replaced. Well, let’s hope Europe has found some humans incapable of error to staff their reactors. And you do, I hope, realize that upgrading reactors increases the cost of the electricity they produce. Which again rises the prices for nuclear, in france for existing nuclear power plants to 6,5ct/kWh according to the cour de comptes. 2,12ct/kWh above the price for new wind power from the latest auction in germany. 0,9 ct above the latest auctions for solar in germany, and 2,3 ct above the latest auction results for wind and solar in spain. Transporting power from germany or spain to france costs below 1ct, as the differences in market prices tell us. 1. Prime motive for auctions were the recommendations of the EU fair competition investigation regarding their Energiewende and the FiT’s. Germany cannot put those aside. 2. FiT’s were only ended for big chunks of renewable. Not for small parties such as e.g. households or farmers who put PV-solar on their roof(s). Is it not the case that Denmark had to rework their renewable subsidy program due to EU laws/regulations? I don’t know about Denmark as my Danish is rather bad. But they now do follow the EU tender / auction system for offshore wind. 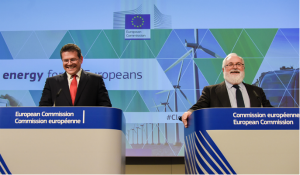 The French proposals to stimulate renewable, were immediately rejected by Brussels. So they designed a new scheme more in line with that of the Germans. Anyway, everybody (probably except suppliers) is now happy about the EU tender / auction system for large chunks of renewable, as that delivers significant lower prices. Now that parts of the globe have large companies with the equipment and skill to install moving to a competitive bid system is, IMHO, the correct move. Let competition create further price decreases. Now, how about we more developed countries help developing countries build up their wind and solar industries? Get demand up to the point that companies will go looking for business in those places. 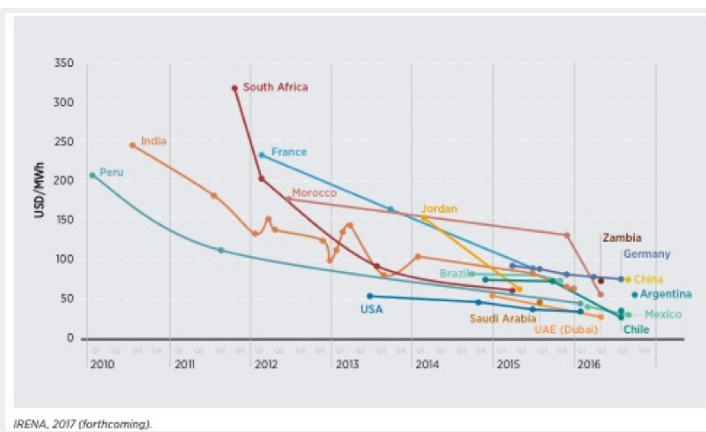 Bob, IEA data shows that renewables investment worldwide has essentially flat lined since 2011 when the subsidy regimes started to get tougher slowing down investment worldwide. The decline was worst in Europe. Worldwide loss of/reduced subsidies has created a strong head wind slowing renewables investment. Meanwhile wind/solar’s contribution to world energy consumption remains tiny. Without the subsidy incentive the future doesn’t look good. Also there is no shortage of investors prepared to build in Germany. However the state seems to be throttling investment through lower levels of capacity being made available at auction than is needed. Now hard to see how their targets will be met. Don’t forget that the cost of wind and solar have been dropping. One gets the same or more for less money. Don’t forget, at one time coal generated 0% of the world’s electricity. Over time it grew. In the US wind is growing at about the same rate as did nuclear. Solar is growing faster. Same for China. You are confusing investment in dollars and increase in capacity. The rapid price drop of solar and wind means that we can now install the same amount for less and less money. Same agency predicts 60 GW of wind installation in 2017. The year to year installation rate has not been as smooth an increase as with solar. Largely due to the US Congress jerking installation rates around with badly designed subsidy programs. Keeping construction rates in nameplate capacity constant, and rising in swept area and collected power, for wind while subsidies are falling means the systems are successfull and are widening their market share wile getting more and more competitive. Solar is expanding it’s output by two digit rates every year worldwide, in many places without any subsidies. This years installation should amout to above 95GW per year. China installesd 10,5 GW alone in july. Production capacities are in steep increase, and prices for installed systems have fallen threw the floor. Everywhere south of the german border, and north of the falklands utility scale solar can produce below the fuel costs (world market price) of coal power stations, opening a giant market where exising market participants have zero possibility to defend their market share on price against solar. This will increase installation rates further, till coal power production is eliminated during daylight. And this is still not the end of the price decrease. German machine manufacturer already offer more efficient production lines today, and have prototypes running for even more efficient prodction lines available tomorrow. Coal power is dying, it’s just that not everybody has heared the news yet. While nuclear – well nuclear needs huge subsidies even to keep existing plants open, let alone build new ones. While both parts of the supply chain are crubeling – the one of the nuclear parts, which many people have already noticed, and, due to the death of coal power, also the non nucear part, which so far came from the coal power supply chain. Manfacturing lines for huge steam turbines are closing around the world. It’s been claimed that investment flattened out after 2011 because decreasing prices for wind turbines and solar panels allowed developers to build more for less money, but this explanation does not hold water because prices had been decreasing steadily for years without having any effect on investment growth. The true explanation is that 2011 was the year in which governments began to water down renewables targets and cut back on subsidies. Investment has flat lined since. The argument holds water. The change was just from double growth driver (growing investment in € + growing production per Euro investet to a single driver – growing production per Euro invested. So your argument constant investment= constant new renwable power production does not hold water. Correct is, subsidy cuts since 2017 have held investment constant. But subsidy cuts come to a natural end when subsidys are zero. More and more regions in the world reach this point. So this effect which held investments constant during the last years is likely to fade out. Try to guess what this might mean for the second driver of growth in renewable markets, amount of money invested. Investment rates may have flattened but installation rates have increased. We’re getting more for less. Unlike nuclear for which the price rises and rises and rises. Well designed auctions should deliver low cost renewables for consumers. 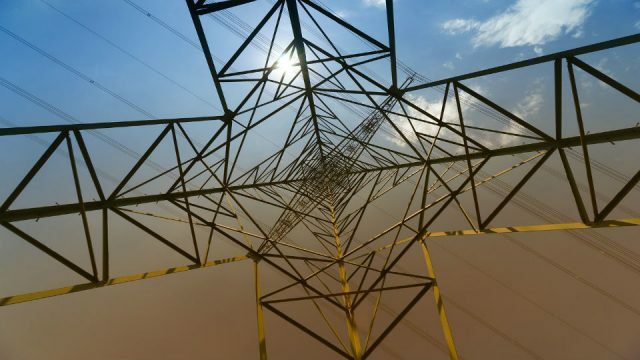 FIT schemes have caused free for alls with too much capacity built and grids unable to keep up with the rate of connections. Whereas auctions allow the development of new renewables capacity in a phased manner so development can be controlled and not get out of hand. Out of hand in terms of excessive subsidy support requirements, demand for equipment driving up costs, and say too much solar and not enough wind or hydro capacity built. However, in an auction process there are losers who may have risked considerable sums on development costs. That may put off developers other than those with deep pockets. But didn’t those FiT programs do a wonderful job of bringing us really cheap solar panels? More likely the entry of low cost manufacturers based in the far east? Cost were already declining fast before the Chinese got involved. When the Chinese started producing PV they did this using machines developed and built by Germany and because Germany created a market. The “free for all” happened in Germany when costs declined faster that the preset decline of the FiTs. This was easily solved by relating the FiT decline to the installation rate. Well designed auctions and a well designed FiT give similar results, but FiTs are more accessible for smaller and local parties, less bureaucratic, and less risky for participants, so overall more democratic and more efficient. Auctions feels more “free-market” like, but a well designed FiT gives the same result with additional advantages. German lawmakers also learned how to develop algorithms how to handle feed in tarifs while keeping installations in predified levels. A bit too late to avoid the high costs of EEG at the moment, but early enough for others to learn of it, or to use this instrument further in germany for the future. This faster than expected build out of solar capacity on the other hand brought down cost to a fraction of the previous cost, so if seen on the level of the whole economy, be in with scope on germany , europe or world, it was well invested money, although the amount of investment was not planned. Now solar power starts to steamroll coal power. China added 10,5 GW of new solar power in July alone. Lesson to be learned: there is nearly no practical upper limit for the speed of installation of solar power. Give some financial incentive and it will popp up in any amount you like in short time. We’ve recently learned that the money spent in the US subsidizing wind has already been paid back, possibly several times over, by the reduction of coal-caused deaths and illness. The US had been spending well over $100 billion per year, possibly over $200 billion treating coal-pollution caused illness. We’ve cut coal use by around 40% and we’re seeing associated costs falling. Europe has a similar coal/health problem. Our money spent on renewable energy will not only bring us cheaper electricity, those subsidies will pay for themselves by lowering health spending. Before carbon emissions were of such concern, countries were building nuclear to cut pollution from coal burning power stations. Had environmentalists not held up construction of new nuclear, far far deeper cuts in coal burning than renewables has achieved only recently would have happened decades ago. So the flip side to this story is opposition to nuclear power by the Green lobby since the 1980s has actually resulted in 10,000s of unnecessary deaths from burning coal! And it’s still happening in Germany despite the Energiewende, and Poland – the dirty men of Europe. In the US nuclear reactor construction starts died out well before there was any appreciable popular resistance to nuclear. Starts were basically over prior to the TMI meltdown. After TMI people became concerned about the safety of nuclear on a large scale. Thankfully we’ve got cheap wind and solar now that we can use to close nasty coal plants. We can cut coal use while making electricity cheaper. Bob, clean gas-fired CCGTs have displaced coal burning hugely – I suspect far more than renewables have done. That’s how the UK cleaned up emissions hugely from 1990 onwards. Renewables arrived late on the scene. UK does not have a coal/health problem – continental lignite burners do though. In the US NG has replaced close to 50% of coal use. Coal is down from ~54% to 30%. But wind and solar have replaced about 8% of all fossil fuels. In the 1980’s and still in the 1990 UK was the dirty man of europe, burning huge amounts of coal in low efficiency plants without any filters. The discovery of huge amounts of cheap gas in the north sea changed this – gas was simply cheaper. Germany had to find a different solution, since there is no such thing as cheap gas. Nuclear was found not to be a reasonable option, because a single accident could cause the same harm in the densly populated country as decades of coal burning, along with the prohibitve high price. And avoiding a single failure is practically impossible, since human brains are too limited in their capabilities. Which is e.g. proven by huge research about software errors in the 1990’s. So another solution had to be found. This solution works better than expected, and now with lower costs than expected. Emissions of coal fired plants is down again by 3 million tons CO2 in the first half of year, with a slight uptick of lignite due to higher availability, and a significant dowturn of hard coal. Lignite will get a downtick in autumn by losure of two blocks. More closures will follow next year. The decision to close some reactors sooner after the Fukushima disaster caused German fossil fuel use to move up only 4%. That’s pretty much in the range of year to year variability seen in the past. In less than four years Germany set a new record for low FF use. What do you predict will happen to Germany’s fossil fuel use and carbon emissions if the remaining 9 reactors are closed by 2022 as planned? I’ll give you a clue, elsewhere emissions have only gone up through increased fossil fuel burn when nukes are closed. I expect Germany to be prepared. Remember, Germany did not schedule or schedule for the Fukushima disaster. They had to react to something out of their control. They went up in San Diego as well. And then they came down. San Diego, like Germany, was not given prior notice of nuclear failure and was not able to build replacement ahead of time. CA’s last two reactors are scheduled to close in 2024 and 2025. CA is now working at having replacement RE in place for those events. First of them is closing now, burning it’s last nuclear fuel to the end, so it’s not able any more to run on full power for the next months. Nothing special will happen. Renewable generation is expanded and replaces the nuclear output, thats why they close one by one. Will 100% renewable generation replace the lost nuke output? Or, will it be some renewables and mostly fossil fuels? It’s actually the latter because new wind/solar can’t fully replace lost nuclear output. Hence why in 2011 plans were approved by Germany’s Parliament for new fossil fuelled plants to replace closing nukes. OK, which power plant planning and construction for a fossil fueled plant started in 2011? Sice you say this happened, ther must be some. I know exactly zero. This was a short therm under sicussion among nuclear and fossil fuel fangroups, but that ended fast when additional renewable power filled all gaps. Look at that. In 2012 and 2013 there was a small increase in CO2 following the early closure of reactors. A 4% increase from 2011 to 2013. And then in 2014 Germany’s CO2 levels fell below that of 2011. And below that of any year since well before 1965 (as far back as my data goes). Regardless of declining carbon emissions, the important point here is early closure of Germany’s nukes has pushed Mts more carbon into the atmosphere. Germany’s carbon emissions would be falling faster now if nukes hadn’t been prematurely closed purely for political reasons as Germany’s safety regulator RSK has said the plants are safe. One of the most important aims of the Energiewende is to cut Germany’s carbon emissions. Problem is Government has been panicking over not meeting their upcoming 2020 carbon emissions target. Germany is now way off course and unlikely to meet the target even though 100bns Euros have been spent on the Energiewende. Furthermore Germany’s targets post 2020 look even less reachable. Whether the new fossil plants approved in 2011 were indeed built is not that important. Carbon emissions from fossil fuelled stations must go up to compensate for the loss of nuke output. Yes, Nigel. Had German citizens not been concerned about living next to nuclear reactors Germany would now be emitting less CO2. Now, Nigel. How about you write that down and tape it to your monitor. We’ve been through this more than once before. Do me a favor Nigel. Find some new talking points to use in your attempt to support nuclear. At least quit recycling your old ones and let us discuss something interesting. Well, if it is not important if thing s are true or not, OK.
That the traffic sector is rising emissions instead of reducing it is a severe problem, and the building sector which is not advancing is a problem too. It is very likely that both sectors will be addressed with new regulation after the election. The power sector is ahead of schedule, although if you don’t like this. And the strong push for more and cheaper solar and wind power in gernany helps to produce huge amounts of CO2-free power worldwide now. Much more than a few german nukes could have delivered. Yes, it does sounds from this article that the transport sector does have a problem particularly with diesels. Suggests after ‘dieselgate’ people may switch to petrol which would not help meet the 2020 carbon target. Also, talk of German cities banning diesels. There are similar issues in the UK with diesels and pollution in cities. They are very popular here, particularly German cars with diesel engines. I drive a 3.0d BMW. Best car I have ever owned. Good fuel consumption and fast. I wouldn’t go back to petrol by choice. Until the beginning of Dieselgate it was common to have Europeans chiding US drivers for not using more efficient diesel vehicles. It seemed like a number of environmentally minded people moved to diesel in order to cut fuel consumption. As for your desire to not return to petrol. Go electric. Much faster acceleration and much lower operating costs. And the people around you will live longer, healthier lives. How do you auction for Biomass projects? Any references globally?